Hello and welcome to a new feature of my FILLING BLANK SPACES blog, where every once in a while I will tell you the origins and work that went into one of my creations. Today, the spotlight shines upon "A Black Friday In Australia", the story I contributed to The New Adventures of the Eagle, Volume 1; from Pro Se Press in cooperation with Altus Press under the Pulp Obscura label. I was honored to be amongst Nick Ahlhelm, Teel James Glenn, Ashley Mangin, Bobby Nash, and R. P. Stevens to continue the story of Jeff Shannon, the top G-2 agent code named The Eagle. 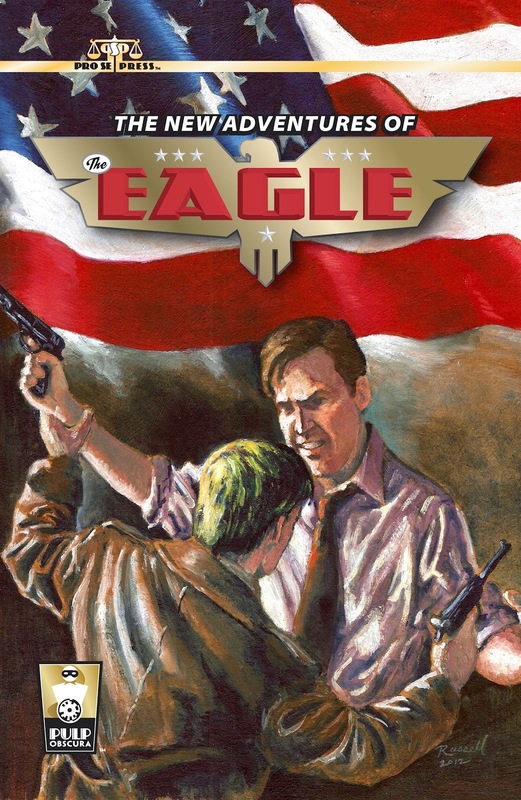 We were given PDF copies of the previously published Eagle tales from the classic pulp Thrilling Spy Stories, written by Captain Kerry McRoberts. After reading his past adventures, I took the approach that my story would have been the next installment had the series continued.The only stipulation from the publisher (besides telling a rip-roaring adventure) was, like the originals, our contributions had to take place before World War 2 began in Europe. When writing period set stories, research is always important, and I certainly did mine. The second World War officially began with Germany's invasion of Poland on September 1, 1939. Backtracking from that date, I went over historical records until I found something interesting that I could use as a backdrop and plot for my tale. The Black Friday referenced in the title has nothing to do with holiday shopping. The State of Victoria in Australia suffered a severe fire, due in part to a record heatwave at the time, on January 13, 1939 (a Friday). Given Australia's geographic location and the advanced planning the Axis forces must have been secretly doing before the war began, the rest was just a question of logic and imagination. Whether or not such plans depicted in my tale were underway in reality I do not know, but it made for a great new adventure for The Eagle. 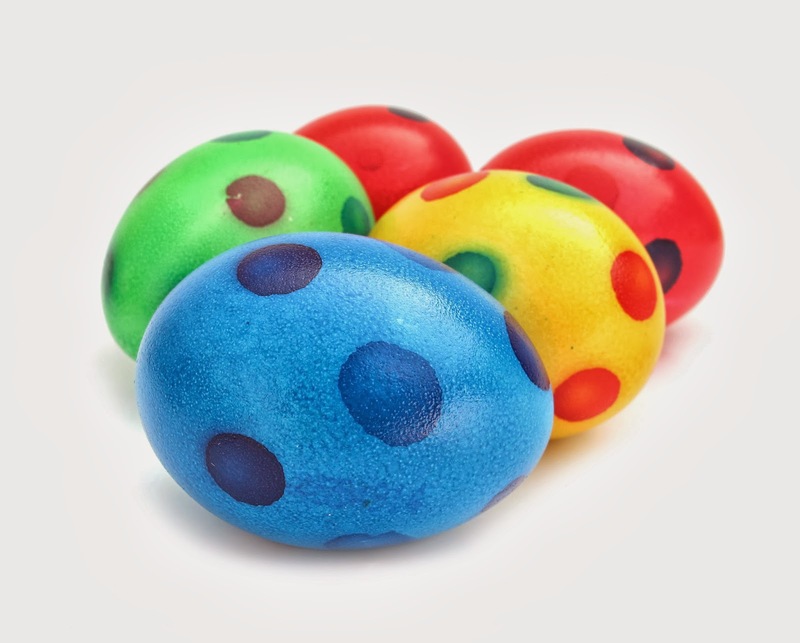 Everyone, including me, looks for these. Those little gems acknowledging other things hidden within whatever you are reading or watching. While I will only include one if appropriate (it has to add to the proceedings and not be inserted just for the sake of doing so); there are a couple within "A Black Friday In Australia". *Captain Hans Meerozean's surname is composed of two German words meaning sea/ocean. *All references to a certain book stemmed from the fact that it was first published in 1937 and that the first part of the movie adaptation was due out in December 2012, months after the submission deadline for this anthology. So there you have it. A brief look at the back story to a published work. 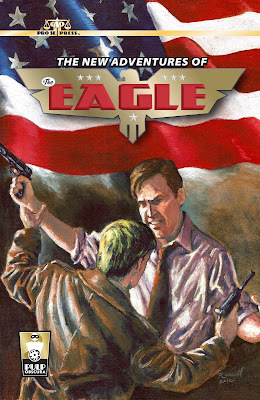 THE NEW ADVENTURES OF THE EAGLE, VOLUME 1 is available from Amazon in both the print and E-formats.